Exercise is crucial to developing a healthy cardiovascular system, but there's a lot you can do in your diet, too. Celebrate National Heart Month with these crucial nutrients! There's more to the month of February than just Valentine's Day; it also happens to be National Heart Month. Although heart disease is the leading cause of death among both men and women worldwide, it is often preventable. If you really want to show your loved ones how much you care about them, give them the gift that lasts a lifetime: a renewed commitment to being around and healthy for the long term! Here are five nutrients that have actual evidence behind their effects and have been shown to help lower your risk for heart disease. If you're eating a vegetable-rich diet like you should be, you already get a fair amount of most of them, but others can easily be added through strategic supplementation. Nitrates and potassium are two of the big reasons vegetables are so good for you. Nitrates, found in beets and a variety of leafy greens, are a reliable and effective way to increase nitric oxide synthesis in the body, which improves circulation and reduces blood pressure. Nitrates, found in beets and a variety of leafy greens, are a reliable and effective way to increase nitric oxide synthesis in the body, which improves circulation and reduces blood pressure. Increased NO production can also improve muscular endurance, which is a why beet root extract is an increasingly popular ingredient in supplements for both strength athletes and endurance athletes. But there's a definite health angle, too. Eating a diet high in nitrates decreases your risk for hypertension and the associated problems, such as myocardial infarctions and sexual dysfunction. Hydrogen sulfide is another compound that can reduce blood pressure. In fact, it even aids in the creation of new blood vessels. As I explained in the article "5 Underrated Supplements for Health," garlic, whether part of the diet or ingested through supplementation, is a cheap and potent way to increase hydrogen sulfide's signaling in the body. Like elevated nitric oxide levels, improved hydrogen-sulfide signaling helps sustain reduced blood pressure, while also promoting the growth of new arterioles. Garlic, whether part of the diet or ingested through supplementation, is a cheap and potent way to increase hydrogen sulfide's signaling in the body. 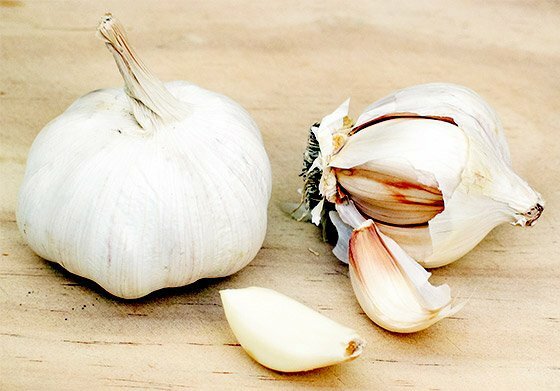 Studies show that garlic can also reduce arterial calcification, as well as lower cholesterol and triglyceride levels, though this effect is less potent than its effect on hydrogen sulfide. No matter how you ingest it, garlic is a good heart-healthy choice because it can improve several parameters of heart health. A healthy artery is a flexible one. During arterial calcification, calcium adheres to the artery wall, increasing its stiffness. Arterial stiffness and "compliance" (the inverse of stiffness) are very reliable biomarkers of mortality from cardiovascular diseases. In addition to providing benefits for bone health, Vitamin K—found in particularly high doses in foods like kale and prunes—is one of the few nutrients that may be able to reduce arterial calcification. However, there's a catch: The optimum daily intake for vitamin K supplementation, characterized by heart-health benefits, is higher than the amount food could reasonably provide. This is why it can be a good idea to add vitamin K, even if you're already eating foods rich in vitamin K.
Insulin resistance can worsen cardiovascular health over time, since chronically elevated blood sugar levels can cause tissue damage and increased blood pressure. Berberine works because it's an AMPK activator, which means it draws glucose (sugar) and lipids (fat) into a cell, allowing them to be used as energy. In this regard, it's comparable to the diabetes drug metformin, and some studies indicate it's a very potent blood-glucose-lowering agent that can be beneficial for people with glucose intolerance and diabetes. Berberine supplementation also supports healthy cholesterol and triglyceride levels. Unlike the supplements above, which indirectly benefit the heart by improving and protecting blood vessels and other tissue, a water extract made of the bark from the arjuna tree seems to affect the heart directly. Although its exact mechanisms are unknown, some studies indicate Terminalia arjuna has a protective effect on cardiac tissue, shielding it from catecholamines or elevated glucose levels. Human studies on Terminalia arjuna have been limited by their small number of participants, but results having been promising so far, especially in regard to left-ventricle function. Adding more garlic, leafy greens, and beets to your diet is an easy first step to protect your heart, and February is the perfect time to get started! Remember: In sports, performance, and especially in overall health, supplementation only comes after ensuring your nutrition is in check—and that you're getting enough sleep. When you've wasted enough time looking for the science behind the headlines. Healthy living includes training and eating right, but it doesn't end there. Consider these five often overlooked supplements to boost mental acuity and support a wide range of important health markers! Calling all chocolate lovers, the Bodybuilding.com community has spoken! 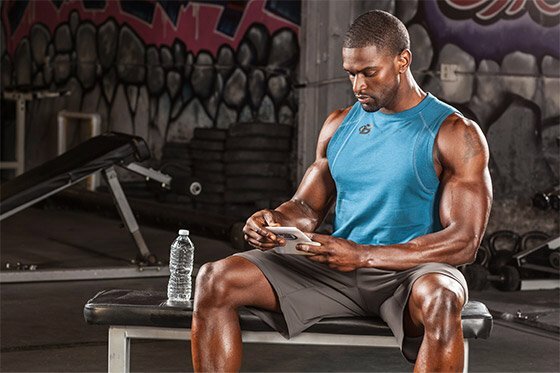 Read about the 10 most delicious chocolate protein powders right here. Green tea is the perfect complement to sushi, but it also happens to be a powerful fat burner loaded with beneficial antioxidants. Get the scoop!